There are instances where inherited property such as a house or parcel of land from a deceased relative need to undergo several legal processes in order for the beneficiaries to take ownership of the property. This case usually happens when assets are named solely in the deceased name and no other names attached. This process is called the probate process. 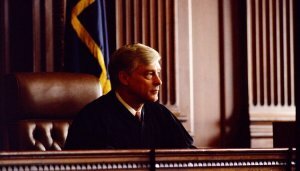 While the intention of the legal process is to solve disputes, there are cases where it turns out that the beneficiaries turned out spending more than the amount of the asset they’re trying to recover. Here comes the question, Is the probate process really necessary? Laura Wallace Henderson of Legal Zoom explains why is a probate process necessary. While a will provides instructions for the division of an estate, including the guardianship of minors, distribution of personal belongings and division of financial assets, probate protects the rights of creditors and entitled beneficiaries. 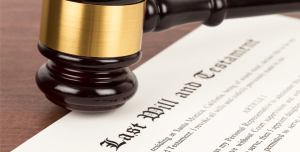 Probate courts can help determine the validity of a will and claims against estates. As long as you hold belongings in your name at the time of your death, your estate must go through probate, regardless of the existence of a will. However, if you die without a will, the court can decide who to appoint as the administrator of your estate, who to designate as the guardian of your children, and how to divide and distribute your assets. Now you know the importance of the probate process even if the will of the deceased person is present. The probate court then makes sure that the content of the will receive due consideration. Here comes the second question, when is the probate process not necessary? FindLaw explains in complete details when is probate not necessary. After knowing when or when not necessary to have a probate process, the decision being the property’s beneficiary depends on you and the rest of your family. You also need to know the cost of the probation process, and if it’s worth it given the amount of the property you’re going to claim. If it’s not worth it, then much better to just avoid the grueling probate process. Julie Garber wrote an article in The Balance on how to avoid the probate process. Read the article below to learn more. Depending on who you talk to, you might have heard that probate really isn’t all that bad and that it doesn’t cost that much or take too long. Or you might have heard that it’s a long, protracted, expensive nightmare that should be avoided at all costs. It all comes down to how complicated and extensive an estate is. Some estates are so small they don’t even require probate. Others are quite large and deliberate and meticulous legal planning is required to avoid the probate snarl. But what if you just have an average estate? You might still want to arrange your estate to avoid probate. Here are the top reasons why. Yes, it’s true. 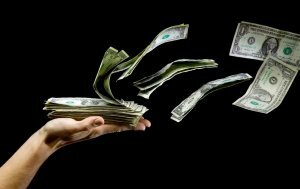 It can take weeks or even months to gain access to a deceased person’s cash, and your heirs will be stuck footing the bill for everything from the funeral to your household utilities during that time. They’ll have to maintain property insurance, and pay taxes and possibly storage fees until probate is officially opened and your estate can pay its own bills. Your property and insurance policies must be maintained until that time. Your family probably won’t be able to access the cash in your bank accounts during this time period. If you have a spouse who doesn’t work and doesn’t have her own funds, this can leave her scrambling to pay for the most basic living expenses like groceries. Avoiding probate can allow family members to have immediate access cash to pay bills, but it has to be done properly. Some legal mechanism must be in place to transfer the account to someone else without probate. Consider naming your spouse or another family member on the account. Talk to an estate planning attorney about how best to do this because laws can vary by state. The probate process is provided by the law to help beneficiaries of inherited will take ownership of the asset left by a deceased person whether a written will is persent or not. Next is to evaluate the pros and cons of undergoing the probate process especially the cost and the returns. Knowing these information is crucial to know if you continue the probate or completely avoid it. Once you have successfully recovered the property such as a house and want to sell it fast and divide the cash to the rest of the family, then we at Dependable Homebuyers can help you sell your house fast, easy and hassle free. Want to know more? Visit us on https://www.dependablehomebuyers.com and let’s get started.